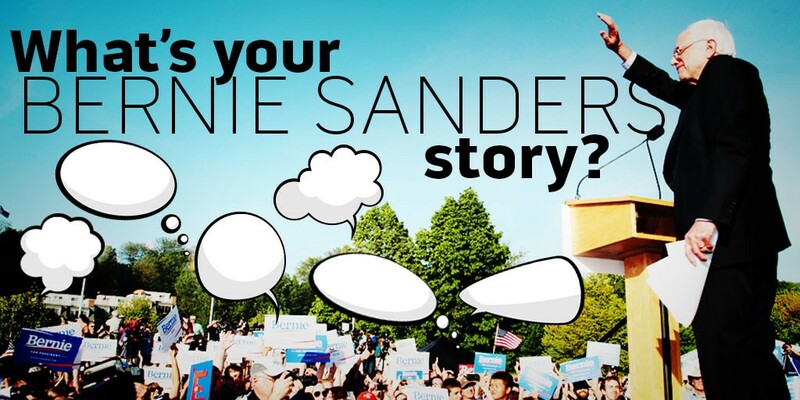 We Want to Hear Your Bernie Sanders Stories! The past 15 months have been a wild ride for Sen. Bernie Sanders (I-Vt.) — and for his many passionate supporters. Thousands of Vermonters donated to his presidential campaign, attended his rallies and went door-to-door to persuade others to join his political revolution. As the Democrats prepare for their nominating convention in Philadelphia on July 25 to 28, Seven Days is looking back at what Bernie has accomplished, and we need your help. Please take a few minutes to answer our (very short!) survey below by Sunday, July 17. We'll publish a collection of your responses in the paper and online.